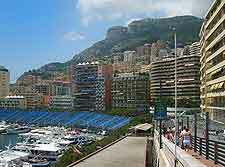 Monte Carlo is a very exclusive and plush resort, and the shopping here certainly matches this image. There are a multitude of shops spread all over Monte Carlo, catering to the fashion conscious and those with a passion of pricey jewellery. 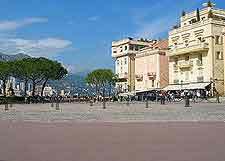 Fashion shopping is at its best around the affluent Golden Circle area and along stretches such as the Avenue des Beaux Arts and the Avenue Monte Carlo, where designer names such as Gucci, Hermes, Prada and Valentino all rub shoulders. And if you can't really afford the prices of these labels, there's nothing to stop you simply indulging yourself on an afternoon's very glamorous window shopping. For leading names in jewellery, check out the wealth of jewellers gathered around the Place du Casino, particularly if you are looking to treat yourself to some encrusted Cartier, Bulgari or Repossi. 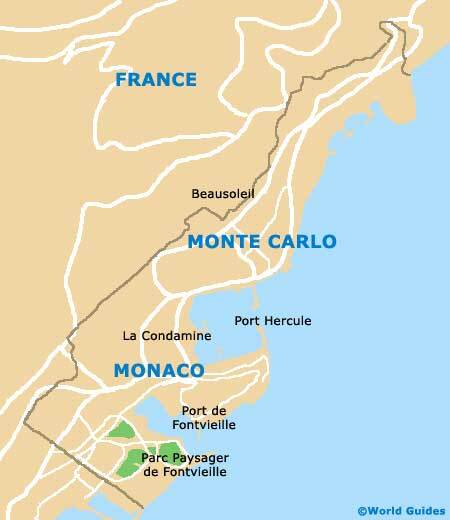 However, if this really is out of your price range, then Monte Carlo's ever-popular Condamine Market is a good place for some much cheaper souvenir shopping. Located within the Place d'Armes, the Condamine Market dates back some 120 years and is still going strong today. The traffic-free Rue Princesse Caroline is a prominent shopping street in central Monte Carlo and always a useful spot to pick up holiday essentials. 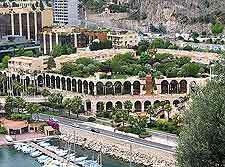 Also recommended is the Fontvieille Shopping Centre and its 30+ shops, along with other malls such as Les Allées Lumières, the Metropole and the Principality.